In previous posts I have espoused the benefits of line aligners and normally thy are formed out of shrink tube. 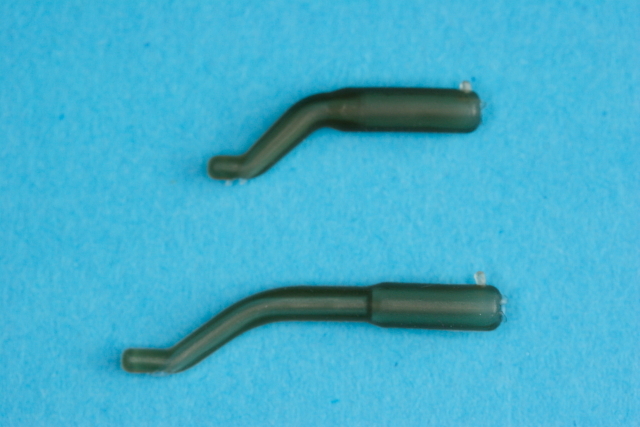 Shrink tube has the advantage of being very tough and will mould its self to any shape and will reform its self if bent out of shape. It is not all sweetness and light however, shrink tube by its very nature needs heat to be able to shrink. Even the lowest temperature tubing needs 90 Deg C ( steam from a boiling kettle) and some need far higher ( ie shrink tube used for electrical purposes). Now most modern carp anglers if they are going over night will carry a kettle and stove if only for a brew however for the mobile angler or the younger angler getting bank side access to boiling water may pose a challenge. 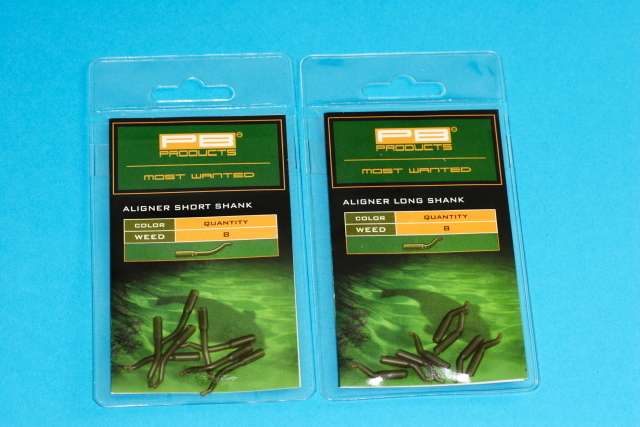 PB products have recetnly released their pre formed line aligners in both long shanked and short shanked format. Having spent many years in Holland I am very familiar with PB products and I even wrote a review of their braid cutters here, hence I knew that any product bearing their name was likely to be of a high standard. So how do they look ? Effectively they are pre formed rubber tubes that you thread on your rig after you have tied it to form a line aligner. 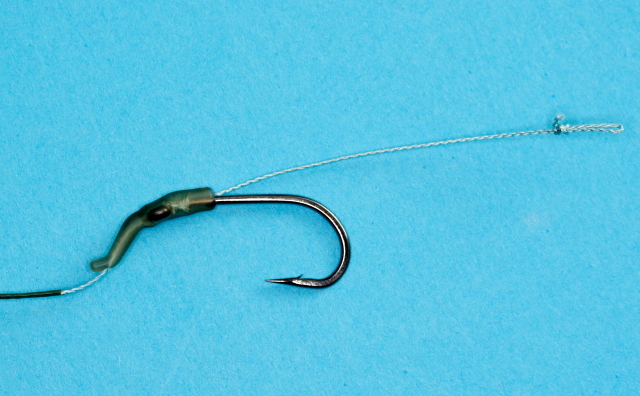 The top one is designed for long shanked hooks and the bottom for short shanked. They are quite tough yet feel flexible enough to work over the largest of knots. The colour is a weedy green which I feel is a good neutral colour as I really don’t go in for the exact matching of your end tackle to the lake bottom. The final rig looks like the above, the back of hand test seems to show the mechanics working just as well as with shirink tubing. The rubber tubing fits over the knot perfectly and I would think would fit hooks sizes 4-8. Should you need to go larger or smaller then this may not be the product for you however I would give them a try before drawing any conclusions. Overall a product that has made a place for its self in my tackle box, for those situations where I have no way of shrinking shrink tube these are the solution I have been looking for. If you see them in the shop – get a pack or 2.